Biodegradable cleaner for your specs, shades, goggles and visors. Supplied in a handy, portable (35ml) plastic spray-on bottle. You can take Muc-Off Eyewear Cleaner with you anywhere. Biodegradable cleaner for your specs and shades. Supplied in a handy, portable (35ml) plastic spray-on bottle, you can take Muc-Off Eyewear Cleaner with you anywhere. Quickly and safely removes dirt, dust, grime, snow, sweat & oily residue from lenses. Safe to use on any lens material including polycarbonates. Also suitable for visors and helmets. 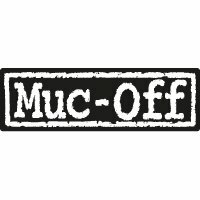 Formulated using pH-neutral soaps and de-ionised water, Muc-Off's anti-bacterial formula contains no solvents or harmful chemicals.